Chrystal Kornegay honed her skills working on housing issues at Urban Edge, the nonprofit she has led since 2011. Some of the state’s most difficult problems have landed at Chrystal Kornegay’s desk. Governor Charlie Baker’s choice to serve as undersecretary of housing and community development faces big challenges, from a lack of affordable housing stock to nearly 5,000 homeless families living in shelters or motels. 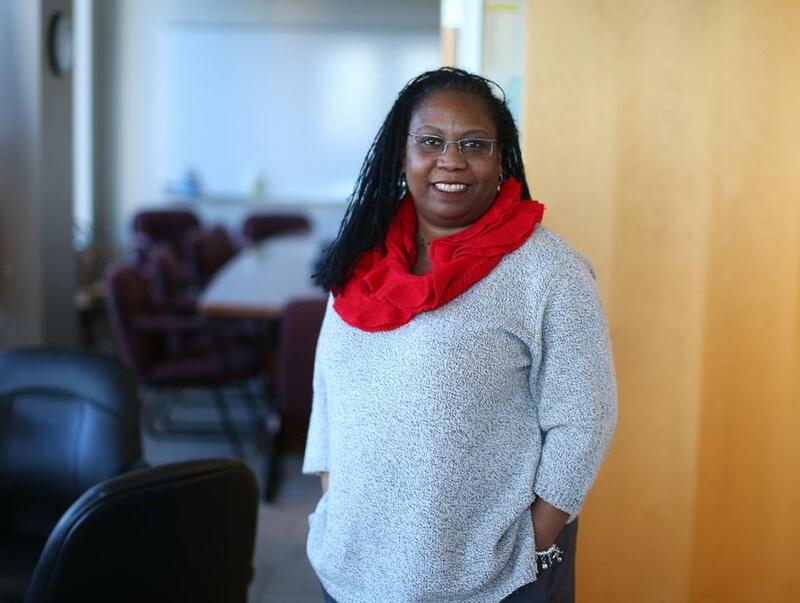 Kornegay was successful in leading an organization geared toward helping people find affordable housing in Jamaica Plain and Roxbury, but she is now responsible for housing policy across the state, and the needs are great. Kornegay said that while different communities have different characteristics, the issues are the same. Kornegay intends to use the skills she learned at Urban Edge, the nonprofit she’s led since 2011, in her new role, in which she reports to Jay Ash, secretary of housing and economic development. The scale is different, but the skills are the same, she said. Urban Edge is in the midst of a multiyear project to redevelop Jackson Square. Throughout that project’s development, the organization hosted more than 100 meetings to inform residents about changes to the plan and engaged more than 3,000 people from the community, Kornegay said. Baker plans to roll out a proposal to address homelessness, and Kornegay said it’s too early to talk specifics about what that will look like. The state has 4,800 families in its emergency shelter system, which includes motels and shelters. That figure that does not include homeless individuals staying in shelters, according to state data. As Kornegay and the rest of Baker’s management staff settle into their new roles, housing experts have their own ideas of what the state should prioritize. The state needs to recognize that for children, family homelessness has effects that go beyond just the temporary pains of living in hotels, said Benjamin Forman, research director at MassINC, a public policy think tank. “When you don’t know where you’re going to sleep at night, it affects your development,” Forman said. The challenges of ensuring that housing is affordable for people who want to live in a community are different in Eastern and Western Massachusetts, though there are similarities, experts said. Near Boston, the job market is strong, but housing is unaffordable for many workers. Near Springfield, the housing market isn’t as strong, but there are fewer jobs, especially those that pay enough to keep people in housing. Housing experts said the state could change regulations that make developing affordable housing difficult, such as zoning laws that restrict the height of buildings. The state could also build a strategy around the state affordable housing law known as Chapter 40B, said David A. Smith, chairman of Recap Real Estate Advisors. Kornegay said she is aware of Chapter 40B and that the administration is working on ways to increase the inventory of affordable housing. Kornegay’s management experience extends beyond planning the redevelopment of Jackson Square, which will increase the amount of affordable housing in the neighborhood. She also is credited with saving Urban Edge from financial insolvency. The organization was overleveraged when she took over, she said. Forman joined the board after the hard work of righting the organization’s finances was done, but said it was Kornegay’s confidence that instilled trust in lenders, which encouraged them to stick with the organization. Peter Gagliardi, president and chief executive of HAP Housing in Springfield, recalled a presentation Kornegay gave about the financial difficulties she had to overcome at Urban Edge. Kornegay, a Democrat, will put those practical problem-solving skills to use in a Republican-led administration, but said she doesn’t think of the administration as having a party label.